ASEAN must continue working hard to remain an effective and central player in the region, said Prime Minister Lee Hsien Loong on Tuesday (Mar 13). Air Marshall Yuyu Sutisna was sworn in as Indonesia’s new Air Force Chief of Staff on 17 January 2018. As soon as he took the position, he announced the purchase of 11 new SU-35 jet fighters. This is not surprising. He is continuing the ASEAN trend of stockpiling arms in recent years. Blockchain refers to a shared, public ledger of records or transactions that is open to inspection by every participant while not being subject to any form of central control. Bitcoin, battered by warnings about volatility and bubble-like appreciation, may have found a way to play a niche role in a big market: overseas money transfers. Students from ASEAN countries, as well as Bhutan and Sri Lanka, have taken part in a sufficiency economy educational program for sustainable development. 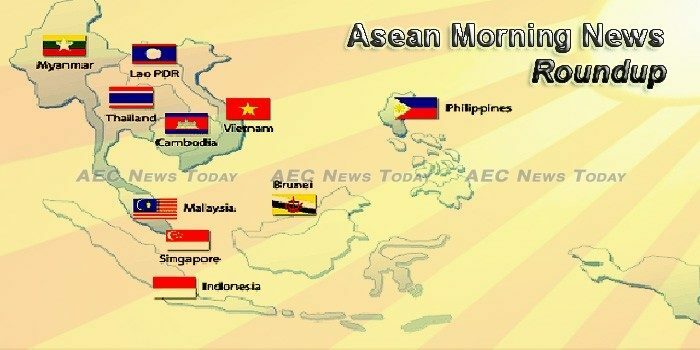 The upcoming ASEAN-Australia Special Summit has led to a surge in analysis of the Association of South East Asian Nations and Australia-ASEAN relations in Australia. Australia intends to press its southeast Asian neighbours including Cambodia and Myanmar about serious human rights concerns when leaders gather in Sydney this weekend. India is determined to act as a counterweight to China’s strong presence in Southeast Asia. Kakao is expanding its transportation services to Japan and Southeast Asia, as the South Korean internet company runs into regulatory obstacles in its home market. Asean has to get used to new internal dynamics as each member – to a different degree – feels the influence of burgeoning powers in the region, especially China and India, said Prime Minister Lee Hsien Loong on Tuesday (March 13). ASEAN member states, driven by market forces and developments in the wider Asia-Pacific region, are looking at how real-time payments can act as a catalyst for payments modernization and future innovation – though member states are currently at different levels of technical and economic sophistication, as reflected by investment plans. The 15th China-ASEAN Expo is scheduled to be held from Sept. 12 to 15 in Nanning, capital of south China’s Guangxi Zhuang Autonomous Region, the organizer announced Tuesday. This week for the first time, the leaders of the 10-member Association of Southeast Asian Nations, or ASEAN, will meet in Australia. Australian Prime Minister Malcolm Turnbull should make human rights a central and public focus of the upcoming summit with Southeast Asian leaders, Human Rights Watch said in a briefing paper released today. Turnbull is scheduled to host leaders of the 10-country Association of Southeast Asian Nations (ASEAN) March 17-18 in Sydney at the ASEAN-Australia Special Summit, the first ASEAN summit to be held in Australia. The idea of the Asia Pacific is as old as World War II. The tides of nationalist awakening connected the Indian anti-colonial movements, along with a handful of Arab nationalists, to Southeast Asia, China and Japan. When the discussion in Malaysia (our home country) turns to racial issues and concerns, it is very hard to hold back the eye rolls. These conversations are hard to avoid in post-colonial Southeast Asia, as many still hold very strongly to their ‘racial’ identity. Cross the land border from Thailand into Cambodia and what strikes you first are the casinos. Despite making moderate progress, Cambodia needs to step up its efforts in nutrition, sanitation and ending domestic violence in order to reach its UN Sustainable Development Goals, according to a new report from Unicef. The Institute of Standards of Cambodia developed 63 new standards last year, bringing the total number of certifications available from the government to 868, though one industry representative said the system still needed improvement in order to facilitate exports. Bank Indonesia or BI will give a fine of up to Rp300 million for individuals or unlicensed corporations that are carrying foreign banknotes cross-customs with a value of at least or equivalent to Rp1 billion. Indonesia’s decision to impose a price cap on domestic coal prices will lower state revenue by up to 9 trillion rupiah ($630 million) this year, a senior finance ministry official said on Tuesday. Indonesia’s financial regulator said it was considering setting a cap on interest rates and the size of loans offered by fintech firms, in a move aimed at minimizing the risk of defaults. On Feb 26, the Executive Board of the International Monetary Fund (IMF) concluded the Article IV Consultation with Lao PDR stating that the country’s economy continues to perform well, supported by a favorable external environment and strong flows of foreign direct investment from its dynamic neighbors. All commodities produced in Laos will have a trademark under the Madrid Protocol, to create econom mic opportunities and help raise the standard of trade in the country. Malaysia’s Industrial Production Index (IPI) rose 3.0 per cent in January 2018 from the same month of 2017, supported by positive growth in all indices, manufacturing (4.8 per cent), mining (1.5 per cent) and electricity (4.3 per cent). Integrated engineering solutions provider Kelington Group Bhd aims to develop its industrial gases division to represent about 30 per cent of the group’s earnings within the next five years. Many Malaysian businesses do not have anti-corruption programmes or policies in the company, according to Transparency International Malaysia’s Business Integrity Country Agenda (Bica) assessment report, which has urged businesses to implement anti-corruption programmes. Facebook has been blamed by UN investigators for playing a leading role in possible genocide in Myanmar by spreading hate speech. Two reports to the United Nations have found that Myanmar has carried out extreme human rights violations against the Rohingya people, abuses that are most likely crimes under international law. Previously exiled Myanmar citizens are returning to their native land armed with knowledge and skills to share with their countrymen and help rebuild the country. Ate Hoekstra reports from Yangon. The national government has disbursed subsidies to various agencies amounting to P131 billion for 2017, with the Philippine Health Insurance Corp. (PhilHealth) receiving the highest subsidy of P47.19 billion for the year. News website Rappler did not have to pay income tax or value added tax for the sale of its Philippine depositary receipts or PDRs, contrary to allegations made in a tax evasion complaint, its lawyer said Tuesday. Criminal charges should be filed against former President Benigno “Noynoy” Aquino III and his budget and health secretaries for allegedly “hastening” the procurement process of the controversial P3 billion Dengvaxia vaccine, Senator Richard Gordon said Tuesday. Singapore intends to treat fake news with the same comprehensive approach as it does illicit drugs while allowing space for a “robust” discourse, according to a cabinet minister involved in discussions on new regulations. Singapore was ranked the top performer in a global smart city ranking by Juniper Research. International Enterprise (IE) Singapore has facilitated a partnership between Certis Group (Certis) and Eutech Cybernetic Pte Ltd (Eutech) to offer Singapore’s first IoT (Internet of Things) Facilities Management (iFM) solution in identified markets. The Thai government has held a meeting to prepare for the hosting of two ASEAN Summits next year. Thailand’s cabinet has agreed in principle that a law should be drafted for regulating digital assets, including cryptocurrencies and initial coin offerings, a government official said Tuesday. IN AN historic case, Thailand’s broadcast regulator was yesterday ordered to return seized bank guarantees worth almost Bt1.75 billion to Thai TV, the licensee of two digital television stations. Vietnam’s total steel exports for the first two months of the year increased 38.6% over the same period last year to more than 728,000 tonnes, according to the Vietnam Steel Association (VSA). Viet Nam needs more preferential policies to attract investors to the local cosmetics sector, economic experts have recommended. Businesses from 43 provinces and cities across Vietnam will participate in the sixth Vietnam International Travel Mart – VITM 2018 – from March 29 to April 1, seeking to learn about tourism trends in the fourth industrial revolution.